Just For Men is the real, natural choice. Just for Men brush-in gel penetrates coarse facial hair. Lasts until the grey grows back. Each shade matches the same Just for Men head haircolour. Plus, you get multiple applications from one box. Just For Men® Brush-In Colour Gel for Moustache, Beard and Sideburns is formulated specifically for colouring facial hair - which is coarser than the hair on your head and requires a thicker, more penetrating formula. It comes with a brush to make application fast and simple. Each package is good for multiple colourings. And it comes in the same 8 shades as Just For Men® haircolour. Women's haircolour is designed to be dramatic, to help a woman get noticed. Just For Men helps a man look his natural best, without calling attention to his hair. We have 9 natural-looking shades, each carefully matched to your natural haircolour. Backed by over three decades of research and proven over 50 million times. How often should I colour my facial hair? How does Just For Men® deliver a natural look? 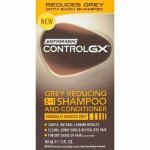 Just For Men® targets only the grey hair for a natural look, leaving your non-grey hairs alone. The result is haircolour that looks like it's your own, original colour. Why should I use Just For Men® instead of women's haircolour? 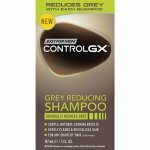 Women's products change the colour of every hair on your head - whether it is grey or not - providing a less natural look. They also come in a variety of fashion colours, which are not appropriate for men who don't want obvious colour changes. What's more, Just For Men® only takes about 5 minutes to apply versus 30 to 45 minutes. And finally, it's safer and non-damaging since it's ammonia-free, unlike most women's colour brands. Bottom line: Just For Men® was developed by men for men to match men's specific needs. Does Just For Men® damage my hair?